The Nursery HR People approached us as we were in the process of setting up a new children’s nursery and needed to get our HR processes in place. To our delight they arranged a meeting with us to go through in detail what we specifically needed to ensure their HR solution would meet our needs, and provided us with invaluable advice on how we should go about putting in place the right HR solutions for our nursery and our employees. I can’t thank them enough for this and I am certainly looking forward to continuing to work with them in the future. I wouldn’t hesitate to recommend them to anyone. The Nursery HR People asked if I would look at their online HR based system, which they have designed specifically for the Children’s Nursery sector and provide feedback on what I thought about it. 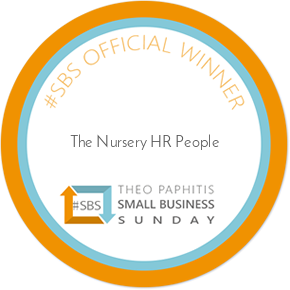 I was impressed with the level of detail and the breadth of solutions available in one place to assist nurseries in managing their employee’s HR activities. It really will make a difference to those nurseries who are finding this particular area of administration challenging. All information on the system is fully compliant with today’s employment legislation so it will be reassuring for nursery owners knowing their HR activities are fully compliant and meet with Ofsted requirements. I am sure this will prove to be an invaluable tool for many nurseries and will deliver excellent value in the ever increasing complex area of HR and employee management.